Rocket, my fuzzy Rocket, has crossed Rainbow Bridge today. I can't remember the last day he had that was a happy one. At first it was a few days of confusion, pacing all night, snarling, running after and snapping at David and sometimes at me. I would let him out to go to the bathroom and he would shiver and shake, afraid of the wind. He would stand in a corner of the yard and forget to come in. He became afraid of the washing machine, the dryer, the dishwasher, and us walking past. He was always so sad, but then he would get really angry. Months ago, there were just a few bad days but the bad days eventually overtook any good days and he was always confused and afraid, and as close as we could figure out, it was called Cognitive Dysfunction Syndrome or Doggie Alzheimer's Syndrome. There was no hope of him getting less confused or happier. Today I held Rocket in a beautiful soft blanket as Dr. Debra Thomas gently gave him a shot. It was as though he just went off to sleep. He was still warm and soft, and he just passed over Rainbow Bridge. Rocket, I loved you from the moment I held your tiny fuzzball body in my arms. You gave me kisses and I gave you my heart. I loved you endlessly and without reserve. I can't even feel anything right now but I feel so much pain like a big rock in my throat and stomach. I want to remember you before you got so sad and confused. I want to remember you flying like a rocket through the house as a young dog. I want to remember how soft you were in my arms and how we called you the Professor because you acted so sophisticated and had wild, messed up hair. 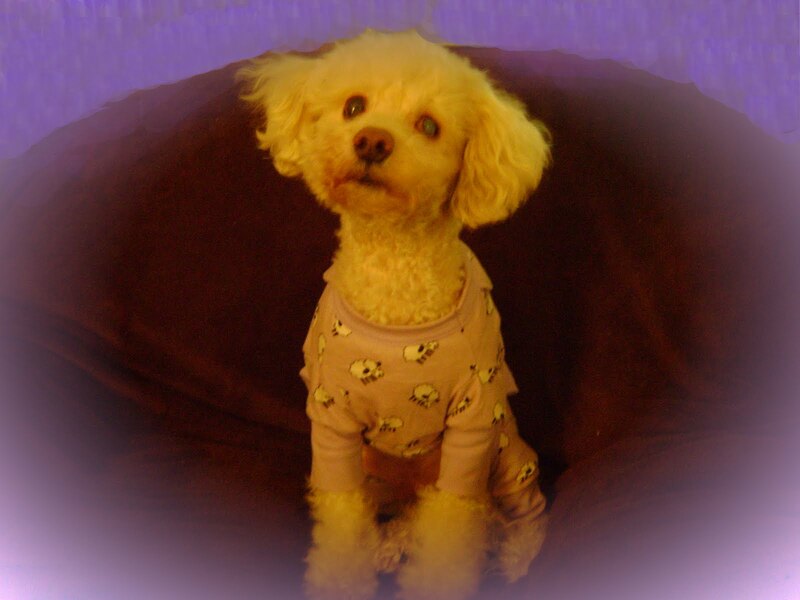 I am sorry I put the purple pajamas on you, but I think you looked wonderful in them. You were still sophisticated in them. I will always love you and you are now at peace. Our thoughts, prayers and love to Auntie Susan. Rocket was so lucky to have had you as his humom. I am so sorry that Rocket has gone to Rainbow Bridge. If you are near her Silvie please lick her tears for us. Help her heart heal. We have plenty of friends at Rainbow Bridge and will make sure they look after Rocket. I find that this is a very touching tribute to Rocket. I also found that it was interesting that you used Elton John's Rocketman piece as part of the tribute. This is my themesong according to my mama. I'm very happy to share my song with Rocket Wilson. May he find peace and contentment at the Rainbow Bridge. What greater love than to know when and how to bring Rocket peace in what was a trying time for him as well as his family. He is grateful for the wonderful life you gave him and the dignity with which he left this physical world. It is love that allows us to not be selfish and keep our beloved pets alive for ourselves but to let them gracefully leave this world in peace.